As with most things in business and life in general, it’s all about the basics, right? Well, here are the basics. If you already know them, but aren’t implementing them, it’s time to start. If you’re just getting started, it’s really important to start your business off right. Don’t you agree? If you’ve already been around as a business, but are looking to grow or do better, pay attention. It’s super important to have the right business entity, or legal structure, to operate your business. Your choice of business entity will impact you in two major ways, taxes and legal liability. 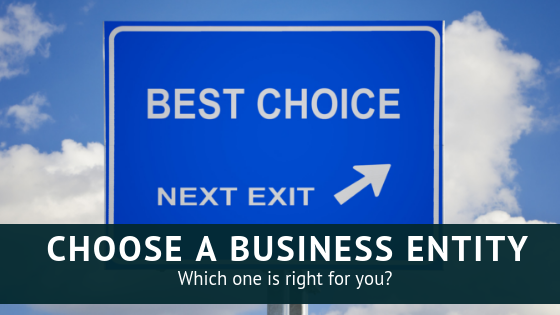 Few choices you make will impact your business and taxes greater than your choice of entity. What is a business entity? A business entity is a legal structure of how you operate. Have you heard someone mention corporation, LLC, or sole proprietor? This is their business entity. On top of the legal and tax ramifications, your choice of an entity will also determine things like what tax forms you file, how you “pay” yourself and what type of annual paperwork you have to file at both the state and federal level. There are essentially four choices when it comes to selecting a business entity. This essentially means you never filed any paperwork with any authority (state or Federal). Instead, you took off and didn’t look back. In this format, you and your business operate as one and the same. It is by far the simplest and cheapest option for getting started, but also exposes you to the most legal liability and offers no tax benefits. In most states, an LLC can have multiple owners, or members, or be a single member, yourself. The LLC operates very similarly to a sole proprietor, except for one major difference. The LLC separates the owner or owners from the business for legal purposes, if you keep finances separate. By keeping finances separate, I mean having a separate bank account, credit card and the like. If you mingle personal and business finances, it could open you up to being liable. This is why I stress keeping a separate bank account, credit card, loan and anything else for the business. From a tax perspective, contrary to popular belief, the LLC alone offers little to no tax benefits. An S Corporation, or S corp, is actually not alone a business entity. Instead, it is a tax election that an LLC can choose to use. An S Corp operates exactly the same as an LLC legally. However, it separates the owner or owners from the business for tax purposes. Unlike an LLC or sole proprietor, the S Corp is not subject to self-employment tax on the profits in the business. An owner or owners pay themselves fair salaries where employment taxes are paid. Then the profits are passed-through or distributed at the end of the year or possibly throughout the year. This can help create major tax savings for businesses operating at a profit. The C corp is a traditional corporation. A C corp pays corporate income taxes on the business income and then distributions or profits paid to stockholders are taxed again as dividends. This is where double taxation comes into play that many have heard. 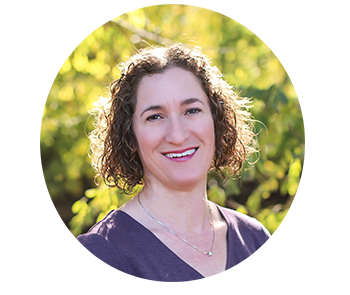 There is lots of bad information out there related to C corps and it is usually not a good option for small business owners. Because of this I highly recommend not even considering this entity and ignoring it as an option for now. A partnership is when two or more people join to carry on a trade or business. Each person contributes money, property, skills, and will receive his/her share of the profits or losses of the business. Specifically, a domestic LLC with at least two members is classified as a partnership for federal income tax purposes unless it elects to be treated as a corporation. A partnership files an annual information tax return, but it does not pay any income tax. Instead, it “passes through” any profits or losses to the partners. Each partner then includes the partnership profit or loss on his or her personal tax return. So now that the 3 best options have been explained, (sole proprietor, LLC, S Corp), you ask which is best for me? This is where I strongly recommend talking to your tax or accounting professional. This is a personal decision that varies and is best discussed with someone you trust. If you don’t have a trusted professional, be in touch. I’m happy to help. However, these simple suggestions might also give you a hint of which is best for you. If your business is making only a small income a year and you have no concern for legal protection, you are good to go operating as a sole proprietor. Keep in mind when I say income, I’m talking profits after expenses. Save yourself the time and money involved in paperwork and keep things simple. All you’ll need to file for income tax purposes is a Schedule C with your personal income tax return. You may still want to file a local DBA (doing business as) to use a name other than your own. If your business is making small profits, but you are concerned with legal protection, an LLC is THE choice for you. Keep in mind there are no tax benefits and there will be a little time and money involved in getting it started. The peace of mind with legal protection can be well worth the little extra effort. It also makes it easier to insure business property and carry liability insurance. An LLC can also make a move to S corp easier when the time arrives to grow. If you are making decent profits per year, you should strongly consider becoming an S Corp. You will get to enjoy the tax benefits and save yourself self-employment taxes. If you hear it’s not worth the headaches, then think again. This could be a real tax saver for you. Be in touch with a tax professional to see how it could help you. What sounds best to you? Did I miss something? So what constitutes decent profits for converting my business to an S-Corp? Anything over $50,000 definitely saves you money.